The UK government has launched an independent review of building and fire safety regulations in response to the fatal Grenfell Tower blaze. 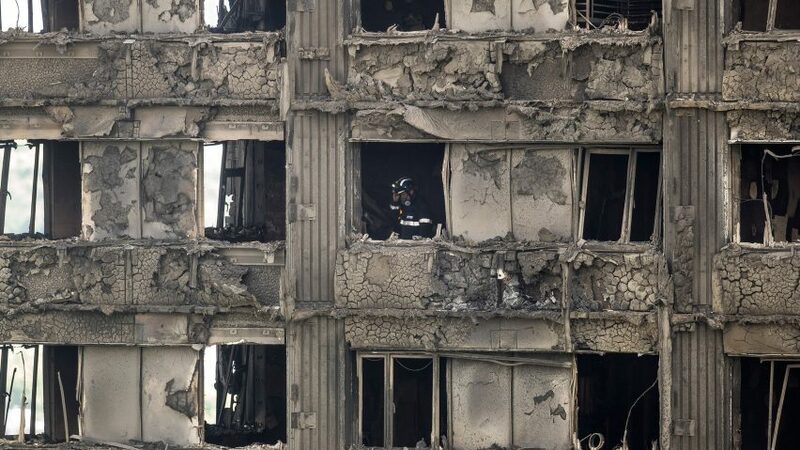 The review was announced on Friday following the failure of the first large-scale fire tests being carried out by the Building Research Establishment (BRE) on cladding systems used on high-rise residential buildings in the UK. The results showed the cladding system applied to the west London tower during renovation works last year did not comply with current regulations. The cladding has been blamed for the quick spread of the fire that broke out on 14 June, in which least 80 people were killed. Currently 82 buildings in the UK are known to use this combination of materials – aluminium composite material, unmodified polyethylene filler and foam insulation – in their cladding systems. Of this number, 47 are owned or managed by local authorities. The review will now investigate the current building and fire safety regulations, particularly focusing on those that apply to high-rise residential buildings. "This follows the tragic fire at Grenfell Tower, which raised serious questions about the fire safety of high-rise residential buildings, and subsequent government testing of aluminium composite material (ACM) cladding from similar buildings across the country," said the government's Department for Communities and Local Government. "Immediate action is already underway to ensure the safety of residents in these buildings. But the results also make clear that we need to understand how current building regulations and fire safety works in order to make them as effective as possible in the future." The review will be led by chemical engineer Judith Hackitt, the government's former health and safety commissioner, who was made dame in 2016 for her services to health and safety, and engineering. It will examine fire regulations currently in place around the design, construction and management of buildings, as well as compliance and enforcement issues and international regulation. As part of the review, Hackitt will consult the construction industry, fire experts, and the Buildings Regulations Advisory Committee, which advises the government on changes to building regulation. "This review will look at building regulations and fire safety to see what changes can be made for the future to make these more effective," said Hackitt. "I am keen to engage widely with industry and the public to inform the recommendations from the review. I want the recommendations to lead to any necessary improvements in the system being made." The full terms of reference for the review will be published later this summer, and will correspond to the terms of reference that are agreed for the Grenfell Tower Public Inquiry. The committee will report to communities secretary Sajid Javid and the home secretary Amber Rudd. An interim report is due by the end of this year and the final report to be published by spring 2018. "It's clear we need to urgently look at building regulations and fire safety. This independent review will ensure we can swiftly make any necessary improvements," said Javid. "Government is determined to make sure that we learn the lessons from the Grenfell Tower fire, and to ensure nothing like it can happen again." The government expects building owners to foot the bill for improvement works recommended by the report, and has written to all local authorities and housing associations to outline funding arrangements. "We will work with relevant bodies so current restrictions on the use of their financial resources do not prevent them from making essential fire safety upgrades to buildings," it said. The announcement follows the Royal Institute of British Architects' call for an urgent review of building and fire safety regulations following the Grenfell Tower disaster. The body also issued its own guidance to UK architects following the fire.